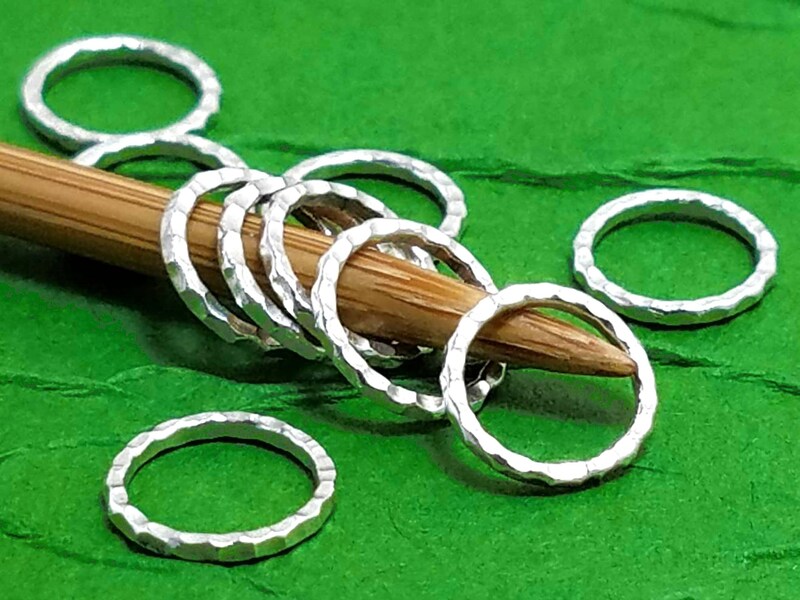 Choose a group of 3, 5 or 10 rings alone or make it a special set by including a small sterling stitch holder. Sets will come carded on a SpindleCat Studio mini folder in a cello sleeve which makes it an elegant small gift for yourself or to slip into a care package for a knitting friend. If you’d like different quantities or groupings than what is listed please contact me for a custom order. Closed rings of sterling are hammered and individually hand textured for a bright smooth, snag-free finish right here at SpindleCat Studio. Markers are uncoated and will patinate over time. With use and occasional buffing they will maintain their bright shiny appearance. 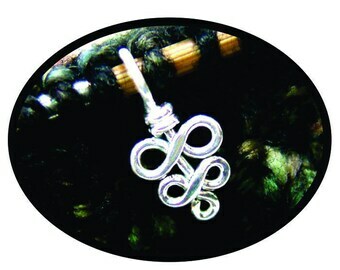 The perfect indulgence for a knitter! This is my second set. Love these little stitch markers. Super tiny but perfect. They don’t get in the way of knitting. No snagging or catching in the yarn. Will definitely be ordering more. I’m using on a US9 needle in this photo. Quick shipping too! Thanks! Opening my shipment from Spindle Cat Studio was like having Christmas all over again! Beautiful packaging and presentation added to the excitement :-) The Sterling Ring Stitch Markers are so sparkly due to the indentations! The are very light weight and the US10 size is perfect for so many needle sizes. I immediately replaced some of the markers on my current project with these as I knit the next row and am just delighted with them. They are super easy to see and transfer between needles. I would not hesitate to use them on any project because they will never catch or get stuck on yarns that are easily snagged.